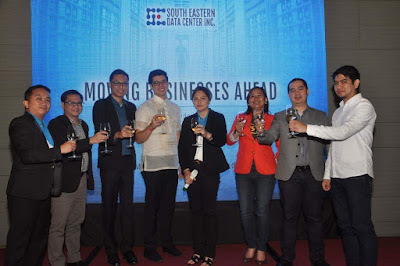 Earlier today, South Eastern Data Center, Inc. (SEDCI)y announced new partnerships and launched a host of products that further broadens its wide array of solutions designed to provide the space and security that growing businesses need for their information security requirements. This Philippine-based carrier-neutral data center, form partnerships to boost Digital Transformation in the country. Its expanded product line now include SEDCI Cloudable (IaaS), SEDCI Cloud Appclick (SaaS), Cloud Applus (API), SEDCI Circuit (Connectivity), and Managed IT Services. They will complement existing products to create a complete cloud-based highly scalable computing solutions package that will facilitate companies of all sizes in gaining competitive advantages in their markets. The company offers a wide array of solutions and services. Our colocation services provide the space and security that growing businesses need for their information security requirements. Our data center is housed in a 24/7 highly-secured facility with a team of IT experts. SEDCI also offers various packages for our server hosting services. Our VPS hosting are customizable and scalable virtual servers that can host all web and email data seamlessly. For larger data storage and heavier web-traffic, we provide dedicated hosting. Shared hosting is our basic plan with all the essential features to get brochure type websites up and running. In addition to these, SEDCI has also expanded our line of products such as: SEDCI Cloudable (IaaS), SEDCI Cloud Appclick (SaaS), Cloud Applus (API), SEDCI Circuit (Connectivity), and Managed IT Services. Visit http://www.sedci.com/ for more information.